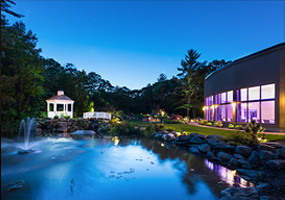 Use the form below or call us today (508-378-4911) to speak with Chef owner Frank or one of our wedding consultants to schedule an appointment to discuss your dream wedding in South Shore Massachusetts (MA). At the Miraval ballroom we know how important your wedding day is - it reflects who you are, your taste, your style and your love. 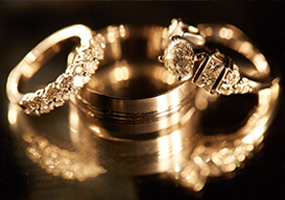 We offer the perfect wedding setting with a simple modern elegance. Just the way you picture it; a romantic garden ceremony, a soothing outdoor patio, a simple yet modern ballroom, elegant tables settings, the perfect flowers, your music and flawless attention to details to enrich your guests experience. The Miraval ballroom is a premiere venue where you can celebrate "the most important day of your life" surrounded by family and friends as you enjoy the romantic ambiance of our stunning ballroom, superb cuisine and outstanding service. On your special day the Miraval Ballroom will be exclusively yours as we only host one wedding per day! Take your guests breath away as you make your grand march down a winding brick walkway to the garden ceremony area lined with white chairs, showcasing our beautiful pergola under which you may exchange your wedding vows. For your Cocktail hour, enjoy the tranquil sounds of our outdoor waterfall as you sip one of our custom signature martinis while enjoying delicious hors d'oeurves on our bluestone patio adorned with sectional couches, fireplace and the magnificent landscaped grounds, which will truly dazzle your guests. 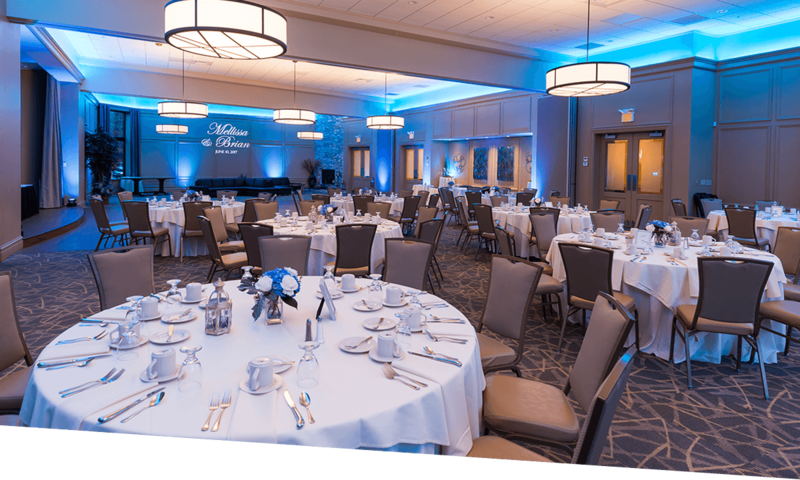 For your Dinner Reception, enjoy the simple contemporary beauty of our ballroom with its 16-foot- high ceilings, three fireplaces, unobstructed views and a glass wall overlooking our fish pond and garden gazebo. At the Miraval ballroom we know how important yo ur wedding day is - it reflects who you are, your taste, your style and your l ove. 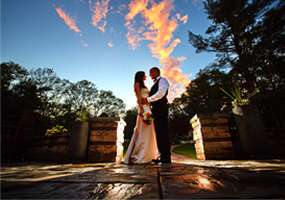 We offer the perfect wedding venues with simple modern elegance. Just the way you picture it; a luxurious setting, with a gorgeous ballroom, elegant tables settings, the perfect flowers, your music and your dream wedding cake. Flawless details to enrich the experience. Highly recommend! Frank is hands down amazing, his team could not have been better and the venue is stunning! Every single one of our guests commented on how beautiful it was, how delicious the food was and how perfect the service was. The food was served to everyone very quickly and correctly. Frank's attention to detail was amazing, we did most of the decorations ourselves and he set everything up beautifully. It was everything we envisioned our reception to be and so much more. Could not have been happier about our choice! Thank you for making our day magical Frank and team! If I could give a 10 Star all around I would. I cannot say enough about Frank. From start to finish, everything was amazing. The service, professionalism, fulfillment of my requests and needs were top notch. The food was spectacular. I didn't have one complaint from any guests. They worked with me and the multiple food allergies my guests had. I could go on and on, but I won't because everything about my day was perfect and magical. Thank you frank, the staff and the rest of the Mockingbird Restaurant!! Words cannot explain how grateful I am for Frank Cannizzaro and his staff who made our wedding day so important and made us feel like we was always #1. From the great food, linen and lights everything was exquisite. The outside patio was just gorgeous! They made this bride & groom very happy. I would choose this place over and over again. Looking forward to having another special event here soon! What a great experience from beginning to the end our wedding coordinator Frank made me and my wife feel like royalty, food was great atmosphere beautiful made our wedding a day a day we will never forget..
Miraval Ballroom was a beautiful venue with wonderful food and great staff. Frank was amazing through the whole process. Our wedding day went very smoothly. Thank you so much for the attention and care you gave us on our special day! Mockingbird was the perfect wedding venue. Frank made the process smooth and stress free. The staff was also amazing. We were blown away by the service and food of course! Thank you so much for making our wedding night perfect! I can't give enough thanks to Frank and his team with helping me plan my wedding and everything they helped me with on my wedding day! Frank & his staff are wonderful. From the planning to the day of my wedding. Frank was helpful, easy to work with an accommodating. I has a wonderful time at my wedding. There were many complaints on the venue and food. Definitely would recommend this venue to anyone getting married or any other type of event. My day could not have been any more perfect. The Miraval ballroom was beautifully decorated, the food was delicious and the service was amazing. I highly recommend the Miraval Ballroom at the Mockingbird! Event coordinator, Frank and his staff were so helpful, attentive, and could not have made my day more relaxing and reassuring! Frank was very quick to respond to all my emails and questions! Most importantly he did not let the rain ruin our day and was able to still have our ceremony outside last minute when the rain let up! The venue is breathtaking and the food was phenomenal and delivered promptly! Staff was attentive all night! I would highly reccomend this venue! Our Wedding was amazing thanks to Frank at Miraval Ballroom! I don't think Julia and I could have selected a better venue to have our wedding. Frank, the man who wears many hats, was very responsive and attentive every step of the way. Even on the day of the wedding, he ensured that we remained stress free and everything went as planned. The location is beautiful with minimal need for added flowers for those who want to have an onsite ceremony and endless opportunities for photographs. The food was also delicious even though that was the least of our worries. Most importantly, every one of our guests informed us that they had a great time and it could not have occurred without Frank's attention to detail and execution of many of our unique touches. My husband Bruce and I got married on May 27, 2017 at the Miraval Ballroom and it was better than any dream come true. We still cannot believe how perfect everything was and how effortless Frank Canizzaro and his team made everything for us. We have built a long term relationship with Frank, his wife and all of their staff over at The Mockingbird and that only added to the happiness and comfort we felt on our big day. Everything from the first meeting through the final arrangements was so smooth and seamless! Our DJ is also a long time friend of Frank and they worked together better than I have ever seen. Frank communicated directly with our DJ to plan and organize the timeline for our wedding ceremony and reception. He also provided information for the florist (whom he also works with directly) and invitation company we used. We truly cannot thank Frank, his family and team enough for everything they have done and continue to do for us. From the bottom of our hearts, there is not a single thing we would have changed. Thank you, Frank, for helping all of our dreams, visions and MORE come to life. We are forever grateful. Love, Bruce and Sara Ivil. My husband & I got married on 4/8/2017 at the Miraval Ballroom and it was amazing. Frank was awesome & I couldn't imagine having our wedding anywhere else. My guests enjoyed the food, the venue & the entire experience but most of all my husband & I were completely satisfied. Thank you Frank & staff for making our day amazing! Frank, you really take pride in your work & you really know your stuff! We will come to the restaurant for dinner from time to time. This is a great location and the staff was great. Frank took care of everything! This place is amazing. It is absolutely beautiful, the food is awesome and the staff is great. 1 month later and everyone is still raving about the food. Thank you again for a most wonderful wedding celebration. Six weeks later and I still would not have done anything different. So Happy I found you. Best to you and your staff! We cannot say enough about how wonderful our wedding was... Frank was great to work with and was extremely detail oriented- everything was PERFECT on the day of our wedding... Our guests had a great time and were thoroughly impressed. Frank and Kelly were so personable and were right there to make sure everyone had exactly what they needed... And our special attendant Cody was awesome too! We are so appreciative of Frank, Kelly and all of their great staff at the mockingbird that helped to make our day perfect, fun and stress free! Thank you so much for such an amazing night. It was everything we hoped for and we had a blast. All the guests were blown away with the beautiful venue and the wonderful staff. We really appreciate everyone's hard work, thank you again! Thanks again!! Derek and I can't thank you enough, you were great, your staff was great, food was amazing of course and it was just perfect! Thanks again Frank and I hope you got some rest, too! We had our wedding there this past weekend. Everything went so smooth. Frank and his staff went above and beyond. Everything went exactly as we planned. Frank was very professional and easy to work with. Just awesome. I got married here in September I couldn't ask for a better day! Everything was perfect! We chose this venue because we wanted to get married outdoors and have the choice of Indoors/outdoors for the reception. Also because the ballroom is beautiful! Once we went to look at it we knew this was the place! Frank was amazing! He was always answered our questions in a timely manner and let us come in to look around the ballroom as it got closer to our wedding date. The food was amazing! Guests raved about the venue and how beautiful it was! We had an amazing day and so pleased with our experience with the Miraval Ballroom! My wife and I had our reception at the Miraval Ballroom at the Mockingbird Restaurant about a year ago now. It was the best day of our lives. Both my wife and I are very particular about things and were worried trusting the venue staff with such responsibilities. Our worries were a waste as Frank and his staff were nothing but perfection! Frank made sure to stay in the shadows as the even progressed, but was ALWASY there as soon as something was needed. During the planning process he was so attentive to detail that it was a breeze. All our guests, even ones who live nearby, were very impressed with everything and couldn't stop talking about it for days. We constantly recommend both the Miraval Ballroom and the Mockingbird Restaurant. - Frank, both you and your staff made our special day even more special and we cannot thank you enough! My husband and I just had our wedding here! Frank and the staff did an amazing job! They're so kind, detail oriented and attentive. Everything from the food, the drinks, the set up of the hall and grounds was amazing. We couldn't have asked for a more perfect venue! The restaurant is awesome as well! My family, friends and I have been eating here for years. Highly recommend for any event or a night out! My wedding was recently held at the Mockingbird Miraval Ballroom, and it was perfect! The venue itself is beautiful, and Frank adds little touches (like candles, "MR. & MRS." sign on the sweetheart table, and a personalized entrance sign welcoming guests to your wedding)! Frank worked with us from beginning to end and went above and beyond to make us and our day feel special. He was like a ninja at the reception: always there when you need him but never in the way. My JP said she even saw staff polishing the glasses and silverware before the ceremony. I really felt like a princess throughout the whole process, and the private tasting was just out-of-this-world! I received numerous compliments on the food. It was just as delicious the day of the wedding as it had been at the tasting. I would highly recommend this venue. The venue itself is absolutely beautiful. It's very clean and modern and very neutral so it was easy to create the exact look we wanted with our centerpieces and uplighting. We received so many comments from our guests on how beautiful the room was, with the high ceilings and no pillars in the way to block anyone's view. The two fireplaces were absolutely perfect to fit with the theme of a January wedding. The food Frank offered was to die for. One of the most important things we wanted at our wedding was good food and Chef Frank delivered, offering chicken saltimbocca that might have been the best chicken dish we've ever had, prime rib, which our guests said blew them away and some of the best appetizers we've ever had at a wedding. The thing that impressed us the most though was the service offered by Chef Frank and his crew during the wedding. Chef Frank himself was heavily involved in our reception, from guiding the limo to the bridal suite and greeting us as we walked in, to serving the guests and busing tables. We were so impressed by Frank, Cody and the rest of the staff, which were constantly working with all our guests to cater to their every need. We had a guest arrive late due to unforeseen circumstances and Frank and staff made sure they were served and attended to. We had an absolute perfect wedding and cannot say enough good things about the Miraval Ballroom and its entire staff. We have received nothing but compliments from our guests. We had our wedding reception at the Miraval Ballroom at the Mockingbird on January 10, 2015 and it was an absolute fantastic experience and truly everything we could have ever hoped for and more. Chef Frank truly made the night fantastic and absolutely perfect. When we first were searching for a venue Chef Frank was incredibly easy to contact and meet with. He took the time to really sit down with us and show us everything the Miraval Ballroom had to offer. In addition, he was very quick to get ahold of for any questions that we had. He had so many options to choose from in terms of menu and packages and he took the time to walk us through everything so we were able to make an informed decision on what worked best for us. The thing that impressed us the most though was the service offered by Chef Frank and his crew during the wedding. Chef Frank himself was heavily involved in our reception, from guiding the limo to the bridal suite and greeting us as we walked in, to serving the guests and bussing tables. We were so impressed by Frank, Cody and the rest of the staff, which were constantly working with all our guests to cater to their every need. We had a guest arrive late due to unforeseen circumstances and Frank and staff made sure they were served and attended to. We had an absolute perfect wedding and cannot say enough good things about the Miraval Ballroom and its entire staff. We have received nothing but compliments from our guests.